Even if you're not a farmer, you may qualify for a zero down, low-interest mortgage loan that is 90 percent government guaranteed. It is just one of a broad range of programs that offer resources and assistance to rural communities and there are options for building new, buying existing properties or refinancing existing loans. Most of the USDA loan programs are designed to assist low to mid-income families in rural areas, but you meet some stringent guidelines prescribed by the Rural Housing Service of the U.S. Department of Agriculture. The Loan Program was initially designed to assist farmers and foster community development, and was administered by the Farmers Home Administration (FHA). Today, it is the keystone of a single-family loan program that helps hard-working Americans build or buy modest housing. The program limits income to no more than 115 percent of adjusted area medians. The income limit can vary greatly from one part of the country to another. For instance, in some parts of California, the authorized income is more than $140,000. Some suburban areas, known as revitalization zones, have been temporarily approved under the program. One such zone is Half Moon Bay, located just south of San Francisco; the community is in an area known for its "urban farming" activity, although the big city is just miles away. Loans are underwritten and approved through participating banks and lenders in designated zones, and they are intended to make home ownership possible for families who are unable to qualify under conventional mortgage lending programs. If you are interested in finding a lender in your area, contact your state's agency administrator. Applicants may be U.S. citizens, non-citizen nationals or qualified aliens; loan funds may be used to "build, rehabilitate, improve or relocate a dwelling in an eligible rural area." Basic requirements for approval include demonstrated stable and steady income, an acceptable credit rating and the intent to occupy the home as a primary residence. Local banks retain underwriting and approval authority, although the loans are guaranteed up to 90 percent of value in order to minimize the lender's risk of default. It pays to shop approved banks and credit unions if you believe you are qualified. The USDA sets no minimum credit score, and does not dictate underwriting guidelines, so it is possible to negotiate some terms. The most important requirements for approval are that the total mortgage-related obligation, including principal, interest, taxes and insurance, must not exceed 29 percent of gross monthly income, and that the total debt to income ratio is no more than 41 percent. In addition, the specific property to be purchased must meet certain specifications. In some cases, the mortgage may include funds for renovation and repairs. Some fees are charged to initiate the loan, and there are some additional requirements; be sure to discuss all applicable rules prior to submitting an application or closing on a loan. Many existing loans under the program are to families with incomes of approximately 80 percent of the area median. 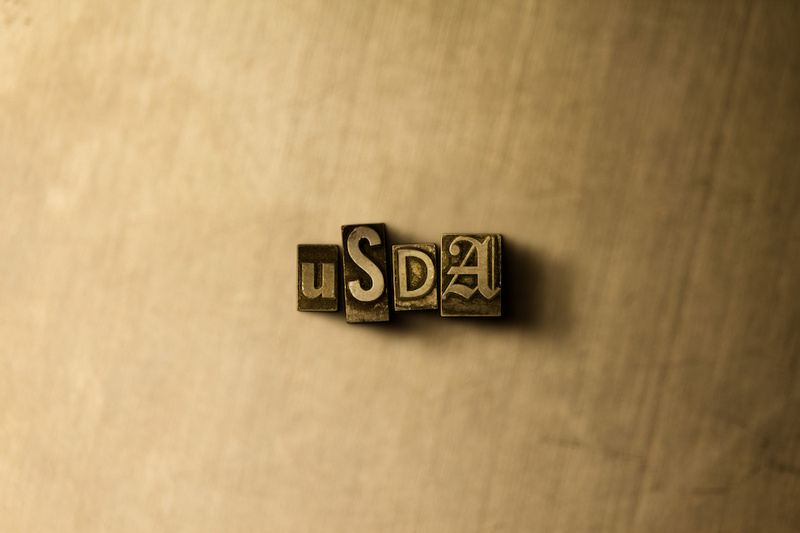 The USDA also has several other programs to assist farmers and rural families, including direct loan and grant programs, as well as payment assistance subsidies.